Wolf Commercial Real Estate, a leading South Jersey commercial real estate brokerage firm with expertise in South Jersey commercial real estate listings and services, now has available highly visible South Jersey retail space for sale or lease at 470 Route 38 Maple Shade NJ. This well-located retail space in Maple Shade NJ features a total of 5,428 sf divided between a retail unit and a storage unit on about .57 acres in the conveniently located township of Maple Shade. The retail unit at this retail space for sale in Maple Shade NJ has between 1,020 sf and 3,960 sf available while the storage unit offers 1,468 sf. The asking lease price for this retail space in Maple Shade NJ at 470 Route 38 Maple Shade NJ is $14.00/sf NNN. For information on the sale price for this retail space in Maple Shade NJ, please contact Wolf Commercial Real Estate, a South Jersey commercial real estate broker that specializes in South Jersey commercial real estate listings and services. The municipal zoning designation for this South Jersey retail space for lease or sale is “BD,” for Business Development, and there are both pylon and store signage available at this retail space for sale in Maple Shade NJ. Located at the corner of Route 38 and Rudderow Avenue, this South Jersey retail space for sale or lease at 470 Route 38 Maple Shade NJ is situated at a busy intersection near other popular retailers. This retail space for sale in Maple Shade NJ is close by Wawa, Dunkin’ Donuts, Outback Steakhouse, and Carrabba’s Italian Grill, and is near both the Cherry Hill and Moorestown malls. This retail space in Maple Shade NJ also offers easy access to Philadelphia via the Benjamin Franklin bridge. This South Jersey retail space for lease or sale is available for immediate occupancy through Wolf Commercial Real Estate, a South Jersey commercial real estate brokerage firm that specializes in South Jersey commercial real estate listings and services. An average of more than 61,000 vehicles per day pass by this South Jersey retail space for lease or sale at 470 Route 38 Maple Shade NJ, and there is ample parking at this South Jersey retail space for sale or lease. 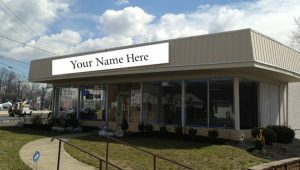 More than 19,000 potential customers live within the municipal borders that contain this retail space for sale in Maple Shade NJ that is available through Wolf Commercial Real Estate, a South Jersey commercial real estate broker that specializes in South Jersey commercial real estate listings and services. The average household income in the same area of this South Jersey retail space for lease or sale is $45,246. For more information about this South Jersey retail space for sale or lease at 470 Route 38 Maple Shade NJ about any other South Jersey commercial properties for sale or lease, please contact Jason Wolf (856-857-6301; jason.wolf@wolfcre.com) at Wolf Commercial Real Estate, a South Jersey commercial real estate brokerage firm.